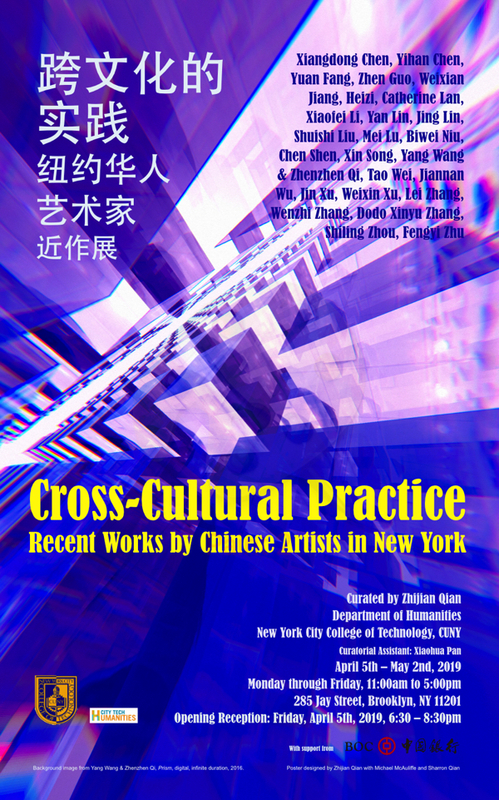 The exhibition features a group of Chinese artists who have been living and working in New York City since the 1980s and are known for their cross-cultural artistic practices. Employing a wide range of media, technology, methods and approaches, their works demonstrate a multi-leveled investigation of themes such as tradition, self, identity, values and living conditions, as they relate to the highly cosmopolitan environment of New York. Exhibited artworks include sculpture, paintings in ink, oil, and acrylic, xuan paper assemblages and paper-cut collages, and also multi-media and interactive installations, video art, digital art and live performance. The Chinese Music Ensemble of New York will perform live during the opening, 6:30 – 7:30pm. All are welcome.